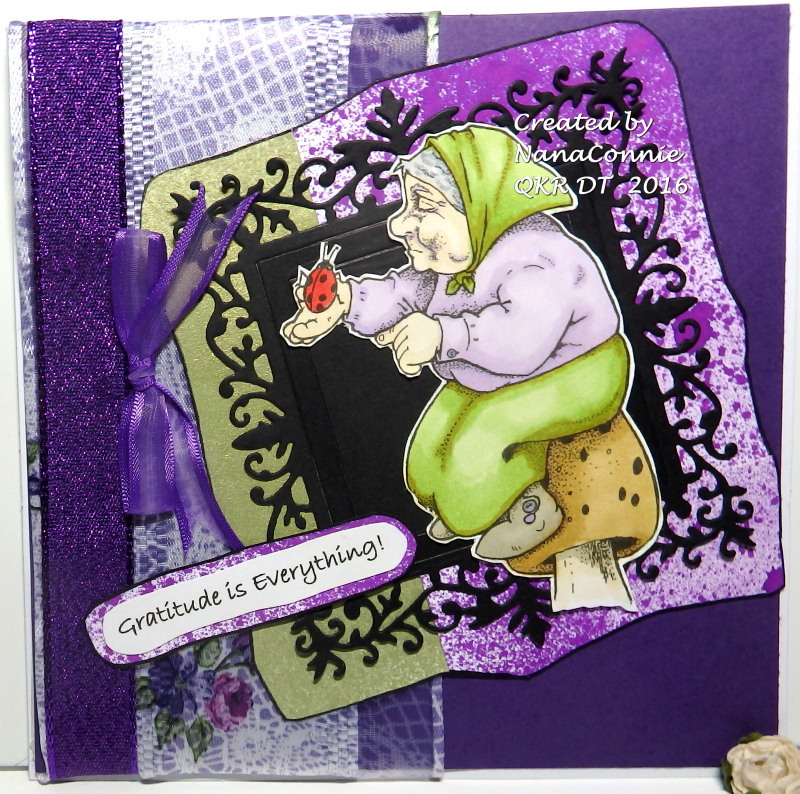 This card is for the Progressive Challenge over at The Outlawz and uses a cute little image by Di's Digi Designs. Coloring done with ProMarkers and glitter was added before it was die cut with a stitched die from Cheery Lynn. The mats were also cut with larger stitched dies from that same set. Red bow tie made with bow maker. CAS and easy to mail. Today I'm sharing another of my cards with die cuts instead of a colored image and I rather like this one. I'm disappointed in the photo because the glittery sparkle just doesn't show up but all of the white bits are cut from glittered CS. IRL, it shines and sparkles incredibly! The snowman, candy cane, the smaller tree and the gift are all from Cheery Lynn dies. The sentiment and Santa's sleigh/ reindeer are cut with dies from Die-Versions. The large, layered tree is done with a die from Dee's Distinctively. Everything is mounted onto a red card front and the white sleigh is mounted on dimensional dots. I hope all of you in the U.S. had a wonderful Thanksgiving Day and I want to share a card which might inspire you to get a start on those Christmas cards which you still need to make. Only five more weeks, can you believe it? 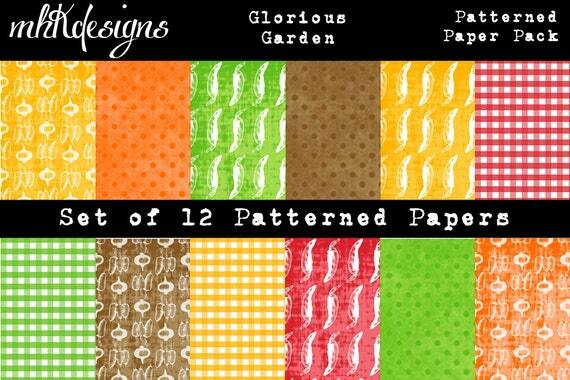 This is from my DT Inspiration post from the MHK Designs blog. 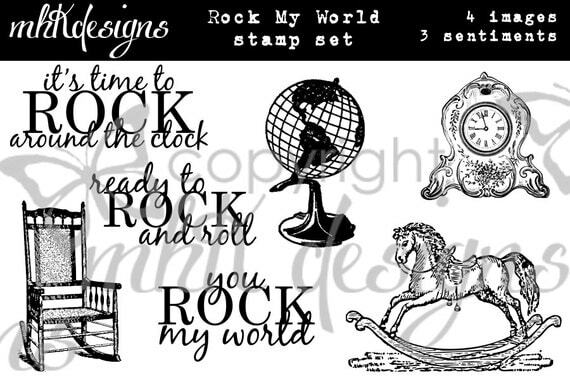 For this one, I used the globe image from the "Rock My World" set and "Distressed Dots" dp from the "Glorious Gardens digital papers" (see photos of the sets below.) First I printed the paper, then ran the paper through my printer a second time to print the globe directly on top of it. 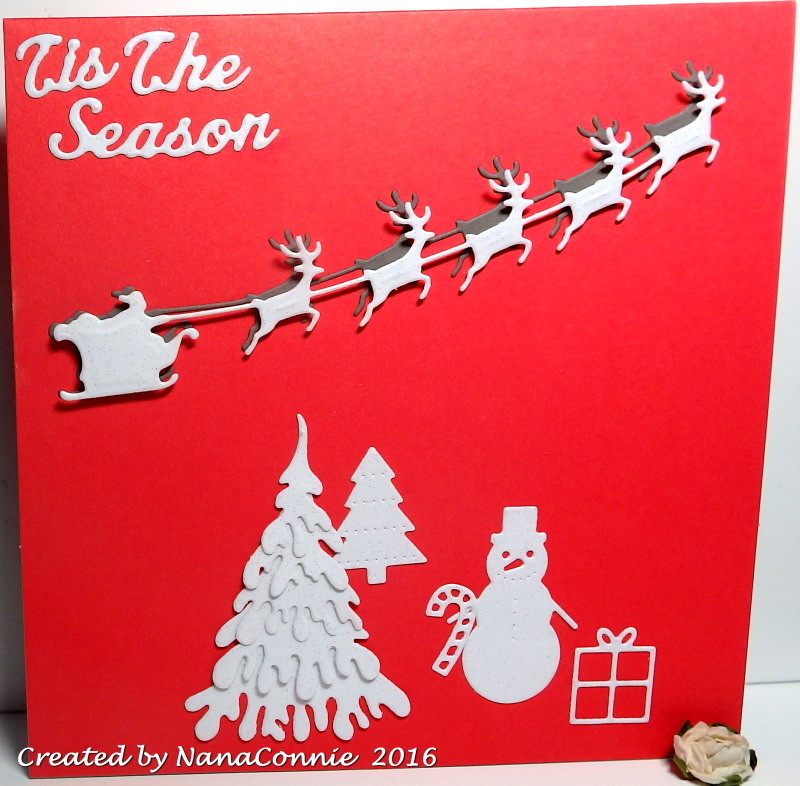 I used a die set from Die-Versions to cut the Santa and Sleigh twice, once in brown and once in eggshell white, then layered them together, slightly offset. I printed and matted the sentiment. In finishing, I added only the three red pearls in each corner and the single red bow, wanting the focus to be on the image, not the embellishments. 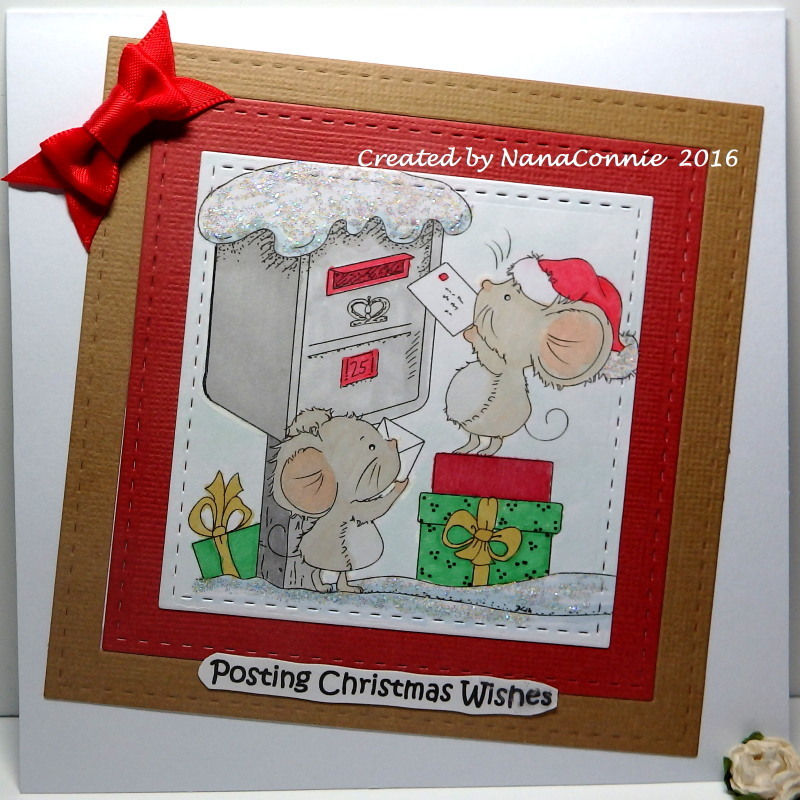 Don't forget that the final MHK Designs challenge for 2016 is playing right now and you can join in between now and December 15. Hope to see you there. 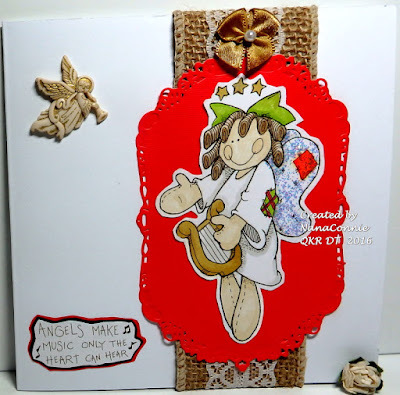 The angel is colored with ProMarkers and then fussy cut before mounting it onto a piece cut with a die from Spellbinders. I added glitter to her wings. 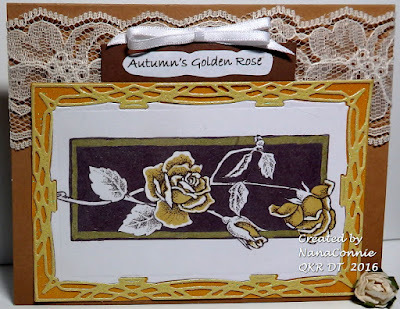 The burlap and lace ribbon have been in my stash a while but they just seemed to work for this card. I added the gold bow with the pearl and the angel, which is a button with the shank removed, then left it pretty CAS. The sentiment was hand cut and matted with two layers of CS. 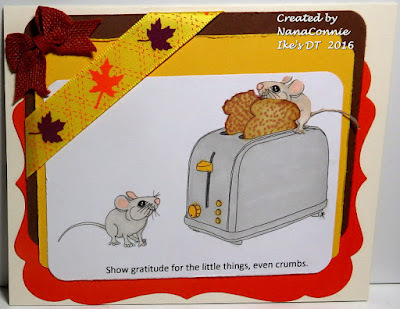 The toaster and the mice are all found in the "Mousie Munch" set. That's actually the same mouse image but I reversed one of them and added it behind one slide of toast. The image is colored with ProMarkers, then die cut and corner punched. Each of the CS layers are also die cut (Spellbinders) or punched and the ribbon is a scrap which was in my ribbon bin. The bow is made from burlap and 'dyed' with ProMarkers. If you haven't yet had your first winter snow, (I know lots of areas have been too warm recently) this card is especially for you, and to wish you snow for Christmas. :-D It's also made for the latest challenge at MHK Designs although I didn't follow the Inspiration photo but you can if you don't use an MHK Designs image. 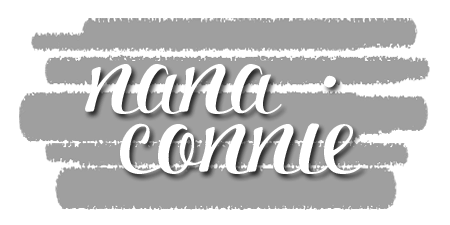 You can find it on the MHK Designs blog. I used the snowflake images from the MHK Designs "Sled Friends" set, printed directly onto dp from the "Snowy Season" set. The sentiment is also matted with that same dp. 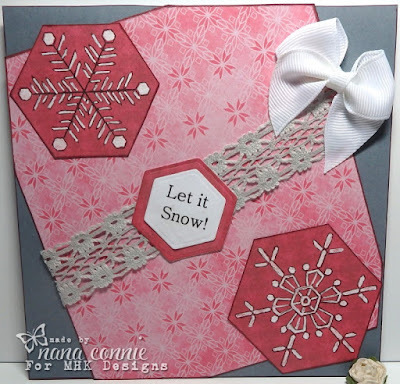 I used white EP to color the snowflakes and cut all three pieces (snowflakes and sentiment) with hexagon dies from QuicKutz. This is the most adorable pair of owls! 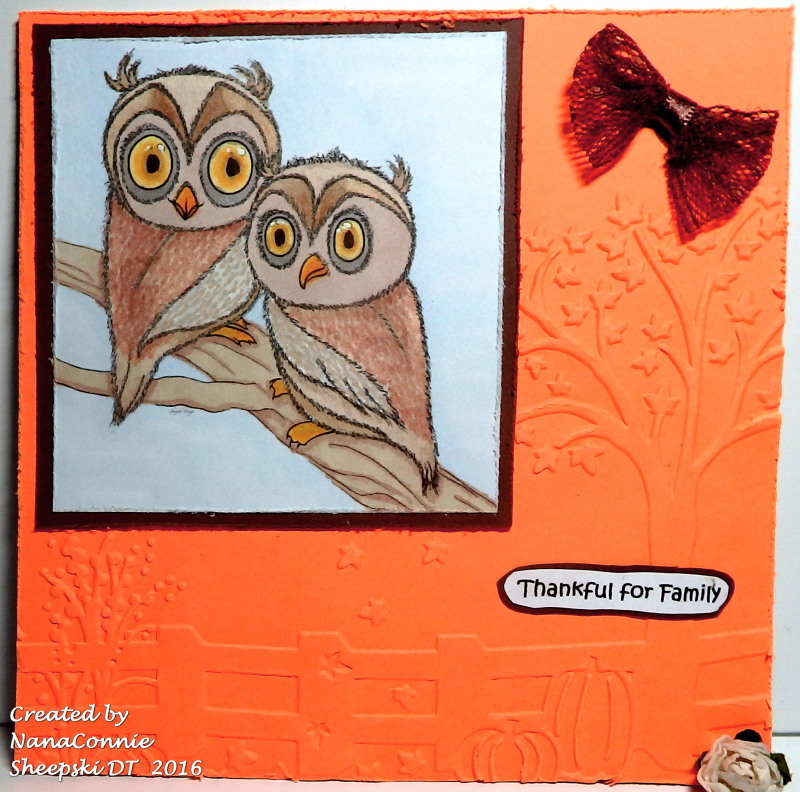 The image is called Oliver and Olivia and I've used it as my DT card for the November challenge at Sheepski Designs. The theme is "Anything Goes." When you check it out on the Facebook page, just look for the album under "Photos" with the November/December challenge. 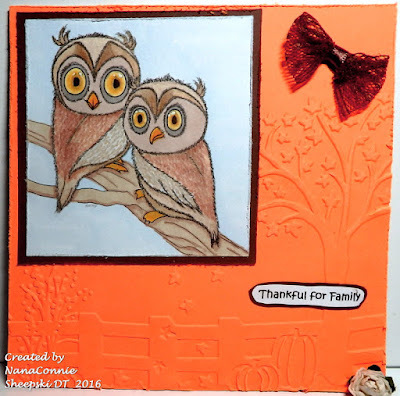 I colored the owls with a combination of Lyra pencils and ProMarkers, then distressed the edges of the image after cutting it with a square die (Spellbinders.) I matted the image and distressed the edges of the mat also. 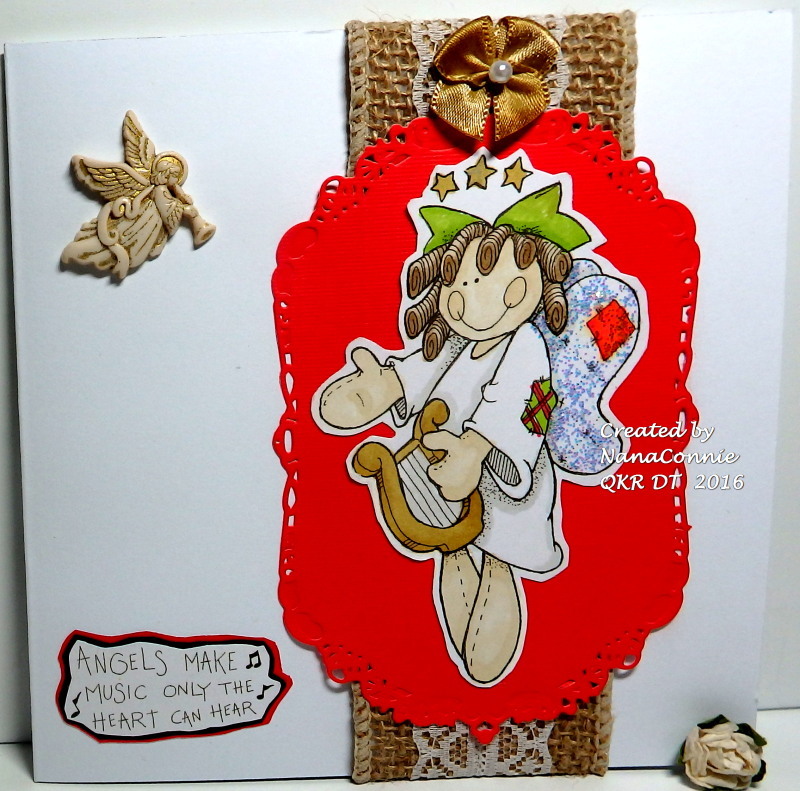 I used an embossing folder on the background, added the lace bow and the sentiment, and left it very CAS since this one has to be mailed. 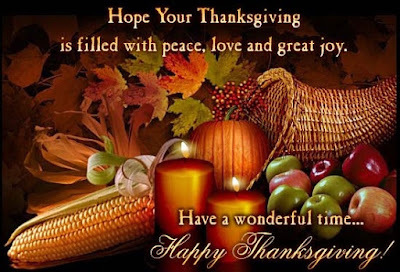 Well, less than a week now until we in the US celebrate Thanksgiving so our theme at QKR Stampede this week is "Thanks or Thanksgiving." One of my favorite QKR images (aren't they all my favorites? 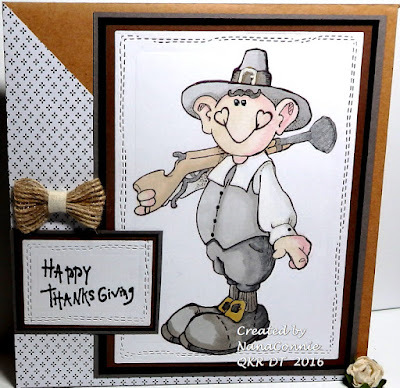 lol) is this happy little pilgrim! (Digi 17609 Pilgrim) Can't you tell he's just about to go get the turkey for his family to eat during their gratitude celebration? I colored him all in neutrals with my ProMarkers and used one of my newest stitched dies (STAMPlorations) to cut it out, then matted the image with three layers of CS. I used a kraft card base, added a triangle of dp and layered everything together, finishing with the cut and matted sentiment (Digi 13815 Happy Thanksgiving.) The bow is wrapped burlap. New challenge this morning at QKR Stampede and our theme is "A Touch of Gold." I'm pretty sure I used more than just a touch but it was so easy to get carried away! The image is "Digi 15411 Rose Border" and it's one of my favorite flower images in my rather huge collection of flower digis. I used my ProMarkers to color the roses and deliberately left the rest of the image black and white. I die cut it and the sparkly, gold frame around it (Cheery Lynn "Enchanted Forest.") I layered those onto a piece of glittered CS in a deeper gold and trimmed it to fit the size of the frame. 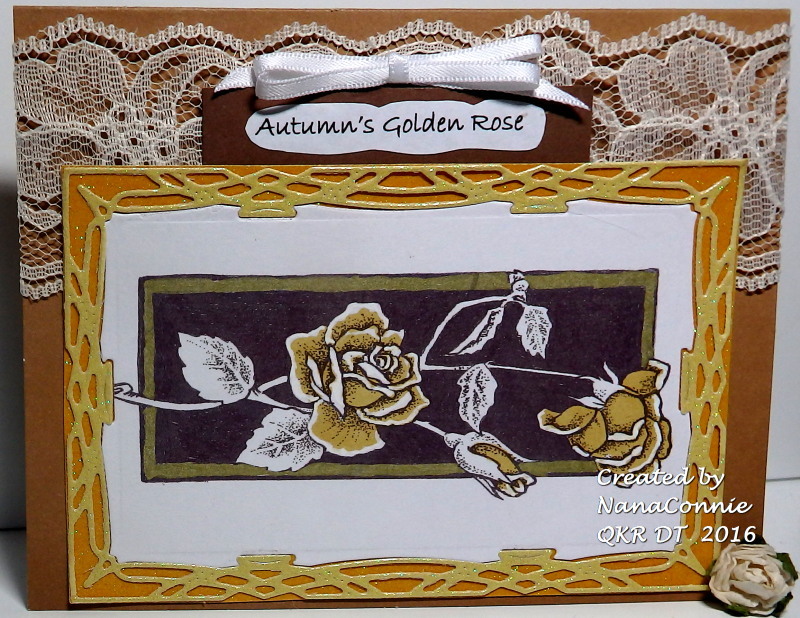 I chose some plain gold CS and wrapped the white lace around it before mounting it onto my card front. I hand cut the sentiment and matted it with dark brown CS. My final touch was the double white bow. 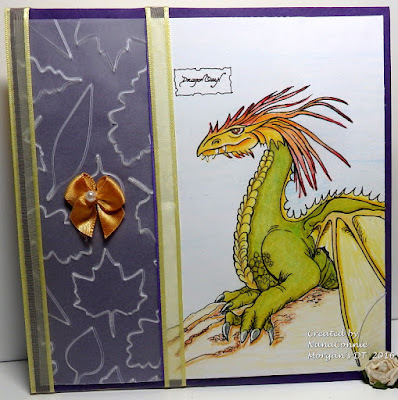 Our newest challenge starts today over at Morgan's ArtWorld and this time we want you to "Use Something from Your Stash." 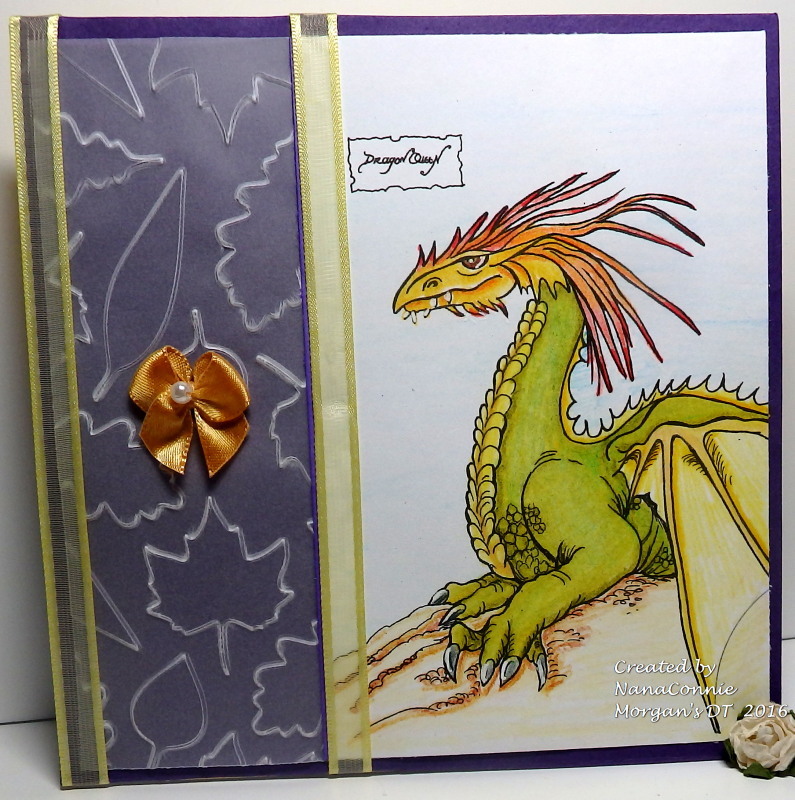 I used the image "Dragon" to make this card and I'll give you a running total of all the stash items I used. The bow is one of those I sew together and toss into the stash (item 5) so that I have them when I need them. This one was originally white but I 'dyed' it with a ProMarker to get the shade of coral/ orange I wanted. One thing I know about crafters is that they are inventive and resourceful. When one is restricted from crafting for whatever reason, the need to craft (despite having worked ahead on obligations and having posts pre-scheduled) increases and ways will be found, always! Image by Aurora Wings, colored with ProMarkers, dies are QuicKutz and Memory Box. Ribbon from the stash and now there's one more card for the Christmas stash. I've been invited to be a Guest Designer at the new Always Use Rubber challenge which has a theme this fortnight of "Destinations." 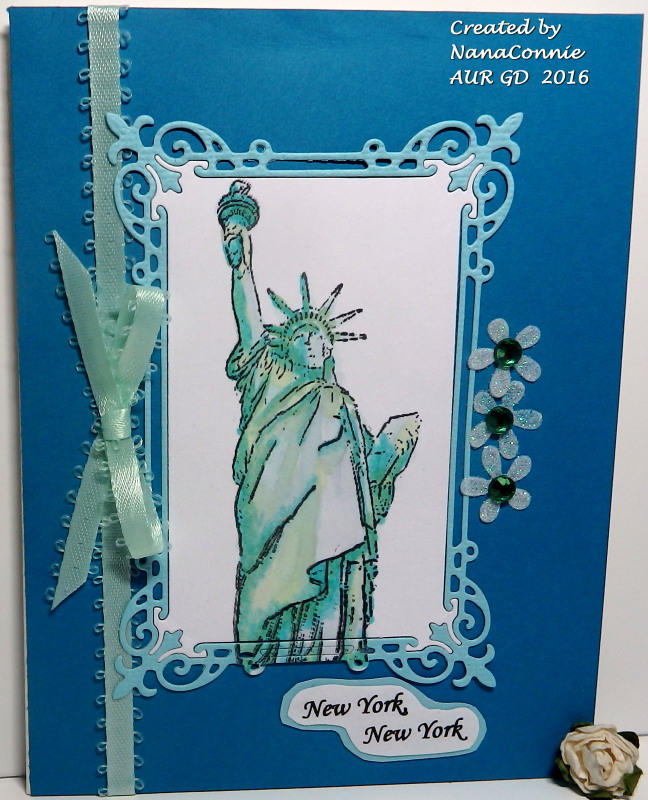 I dug through my Sparkle n Sprinkle rubber stamps and found this wonderful Statue of Liberty stamp so my destination is New York, New York. I started by coloring the statue with my ProMarkers, then I die cut the image with a die from Bo Bunny. The frame around the image is also cut with a die from that same set and was cut from a scrap of blue CS. The sentiment is stamped and heat embossed with black EP. The ribbon came from my stash and I die cut little daisies from scraps, used loose glitter on them, and then added a gem stone to the center of each one. Everything was layered onto a deep, ocean blue, card base. Another Friday, another new challenge at QKR Stampede. This week, we want to see "Splatters or Sprays." I dug out two of my favorite sprays by Dylusions and, while they are favorites especially when used together, I have to admit they've been languishing in the stash for many, many months. So it was great to have this challenge theme and use them again. 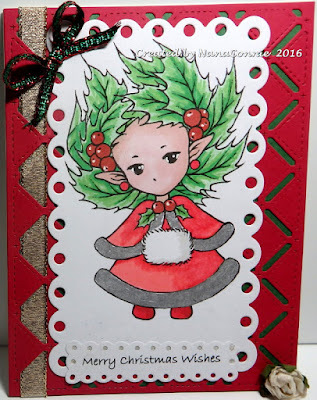 I've wanted to use this darling "Gnome Lady" (called Knome Lady Digi 4101 in the store - a typo, perhaps, but nevertheless stuck with that name if you are going to search for it) ever since I saw it on another DT member's card a while back. Today seemed a good day for it. instead of putting it perfectly horizontal. I started by coloring her with my ProMarkers and then fussy cutting her. I picked up two scraps of white CS, otherwise headed for the trash bin, and sprayed one with green iridescent spray and the other with purple. I pieced those together and trimmed the edges to make them into a distressed square. Then I die cut the black framing piece (Impression Obsession die), also a scrap, and layered everything together. I printed the sentiment and matted it with a tiny scrap left on the desk when I cut the purple sprayed piece. I inked the edges of everything with a black marker. Next, I dug through the ribbon stash and found the three different ribbons. I layered the shiny wide ribbon that looks like lace and the sparkly purple ribbon together and wrapped them around the card front. I used the third ribbon to tie the bow. Again, all scrap pieces and you know how self-satisfied I feel when I use up snippets instead of throwing them out! 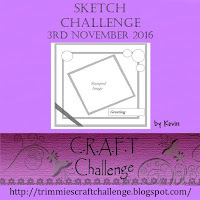 :-D.
I'm proud to announce that I'm a Guest Designer for Crimbo Crackers this challenge and the theme is "Shaped Cards." Once again, I tackled white-on-white which is NOT something I do very often. For some reason, I just can't leave it all white. I end up adding something every time but this time I'm really pleased with the silver sparkle. What do you think? I cut the card shape with a die from QuicKutz and the tree is one of my newest dies from Spellbinders. I cut it twice out of white, embossed the top one, and I fussy cut both of those before I layered them onto each other with dimensional foam. I die cut the bottom layer of the tree from silver sparkle paper. Now you see why I trimmed up both of the white layers. I wanted that silver to show up. 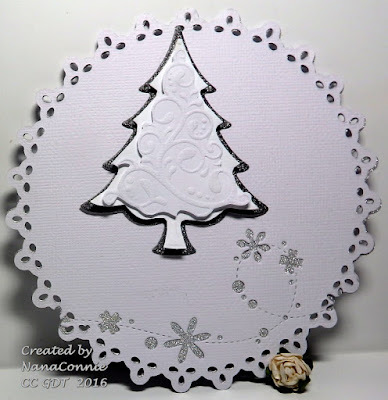 The snowflake flurry was cut out of the card front with a die from Memory Box. I cut sparkle paper with the same QuicKutz die I used for the overall card shape, but cutting only a single layer this time which is adhered to the back side of the card front, showing through the negative space of the die cut. Can anyone believe it's already November? Well, since it is the first day of November, we at Crafts Galore Encore have a new challenge starting and our theme is "Anything Goes." We're sponsored by the Fantasy Art of Nikki Burdette and she has some delightfully superb stamps! This one is called "Wolf" and I think it's spectacular. It reminds me of something right out of the book "Call of the Wild." 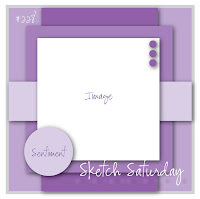 I started with sketch #228 from Sketch Saturday. look way too busy. Maybe it was the fancy die cut frame I used. Or maybe I just already had more than enough layers. I colored the image with my ProMarkers and added the snowflakes to it with a white gel pen. I cut it with a simple square die from Spellbinders and then punched the corners with a Fiskars punch. 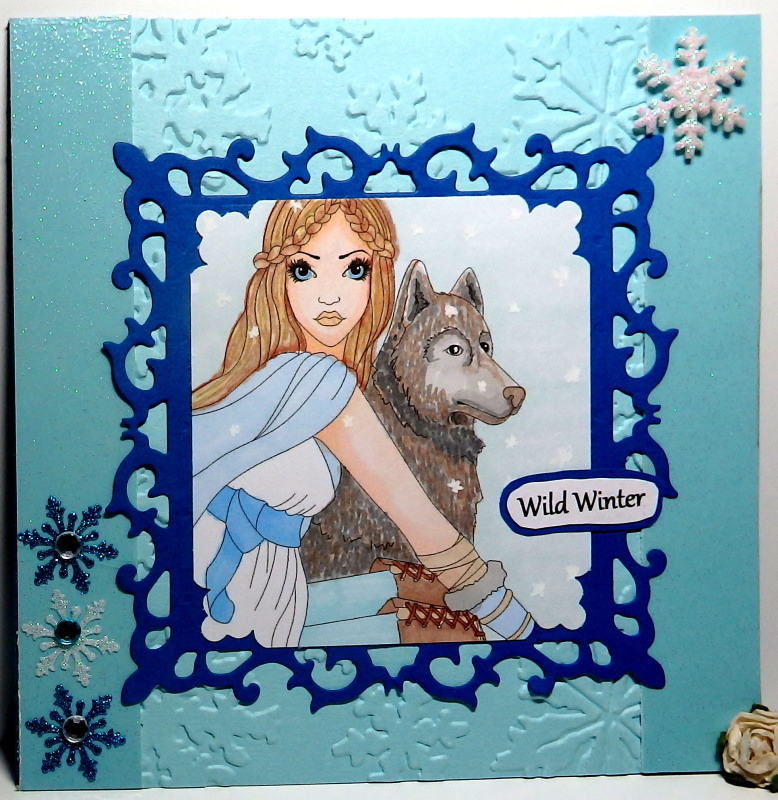 The dark blue frame is also cut with a Spellbinders die. I used one of my Snowflake embossing folders to do the wide, vertical strip in the middle and the background is glittered CS. I added snowflake embellies and one snowflake button and called it finished. Notice that I reversed the position of three snowflakes from the upper corner to the lower left corner and I used the button in place of the sentiment, also reversed in position. The whole design is really sparkly IRL but it just doesn't show up in the photo.